My skincare routine is usually forever changing due to the amount of new products I'm trying for review purposes. However, I realised that this was doing my skin no good and decided that in order to see results from products, I need to stick to a set routine and give them a good chance to work. With this being said, I've recently been using a set group of products and been seeing great results. My skin is looking more blemish free, brighter and more even in tone than it has done in a long time. 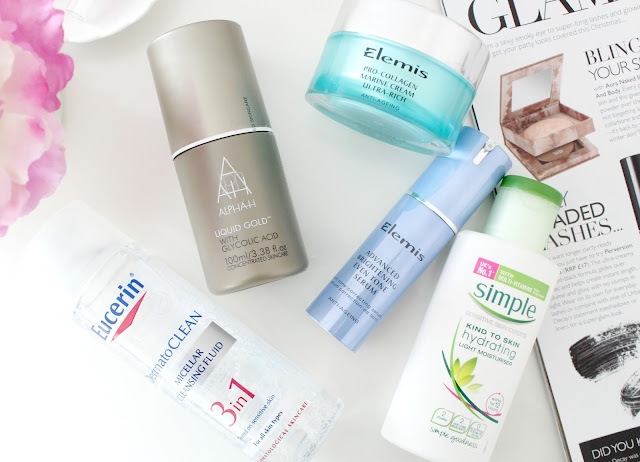 Here's a bit more info about the products I've been loving lately (I realised after I took the photos I didn't include my go-to cleanser but its the Elemis Cleansing Balm, full review here). First up is the Eucerin 3 in 1 Micellar Cleansing Fluid* and I'm going to go as far as saying that this is the best micellar water I've tried to date. I've tried cleansing waters from Caudalie, REN, No.7, Bioderma, Melvita, Garnier and Loreal (plus others I've likely forgotten to list) but this one tops them all. Its a 3 in 1 solution so it cleanses the skin, removes stubborn eye makeup and tones. Whilst I wouldn't necessarily use this to remove my makeup on a regular basis, its great for getting the majority off before doing a proper cleanse. In fact, when I've used this, there's rarely any makeup left on my skin after doing a thorough cleanser with my Elemis cleansing balm - it really does do a great job at removing everything. Its also very gentle, even on my super sensitive skin. Definitely one to try. As I'm sure I've mentioned before, Elemis is definitely my favourite skincare brand and I've been loving lots of their products recently including the Advanced Brightening Skin Tone Serum* and the Pro-Collagen Marine Cream Ultra-Rich*. I apply the serum after cleansing and it sinks into my skin instantly and provides a nice glow. I've definitely noticed my skin looks brighter since I started using this just over a month ago and I'm looking forward to seeing more results as time goes on. I then apply the ultra-rich moisturiser and although I was concerned it'd be too heavy for me due to its 'ultra-rich' name, that couldn't be further from the truth. Its actually very lightweight on the skin but does a seriously good job at moisturising. Much like the serum, it sinks into my skin instantly but leaves it feeling plump and soft as a babies bum. Elemis products are expensive but the price is reflected in the amazing quality of the products and their Christmas gift sets are usually great value and perfect to buy for yourself, mum, sister or nan as Elemis caters for all skin types, problems and ages. I tend to use the Elemis moisturiser mentioned above in the evenings, purely because I want it to last longer and I like to give my skin more of a pamper before bed than I do in the mornings. With this being said, my morning moisturiser of choice for the past few weeks has been the Simple Kind to Skin Hydrating moisturiser* purely because its nice and light and makes a nice base for makeup. I also find that Simple is a safe choice when it comes to skincare because as the name states, it has really simple ingredients and never upsets my skin. Finally, I've been using Alpha H Liquid Gold a couple of times a week in an attempt to even out my skin tone and make it look more radiant and healthy. Due to the harsh cold weather, my skin tends to look dull and lacklustre in Winter in comparison to the Summer months when its more tanned and radiant. When I first received this product, I was quite dubious to try it as I thought it might be very harsh on the skin and I had visions of it stinging on application due to its acid ingredients. However, its actually very gentle and although it lightly tingles after application, it doesn't cause any uncomfortable sensations. I've been applying it a couple of times a week to cleansed skin and leaving it to work its magic through the night. I've definitely noticed my skin is more radiant the day after I've used this and I can't wait to keep using it and seeing more long-term results in the overall texture and appearance of my skin. Talking of skincare, I just want to mention a fab website I was recently introduced to, Salon Skincare**. They sell a huge range of skincare products, including some of these mentioned in this post, with big discounts or in supersize salon bottles. Its definitely worth checking out if you're a skincare fan or want to get some good deals on Christmas presents! They sell the supersize Alpha H Liquid Gold and Balancing Cleanser duo worth £117.00 for only £59.00.. bargain! Have you tried any of these products? Which skin care products have you been loving lately? I personally really enjoy the eucerin brand. I haven't tried any of the other products, but I'm looking forward to adding some to my shopping list. I really like your blog by the way. 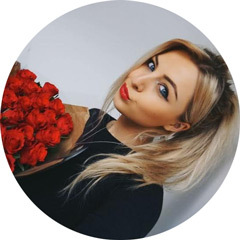 I've just recently started following you on Bloglovin', but you're quickly becoming one of my favorites. I've recently started using an Elemis Moisturiser and love it! They have such a great product range. I love the Eucerin products. They are so amazing for acne-prone oily skin. I definitely love that skincare brand. I've been dying to try the Alpha H Liquid Gold, and the Elemis marine cream sounds absolutely lovely as well! I think they'll both be added to my Christmas list! I love the look of the Liquid Gold, sounds so good! 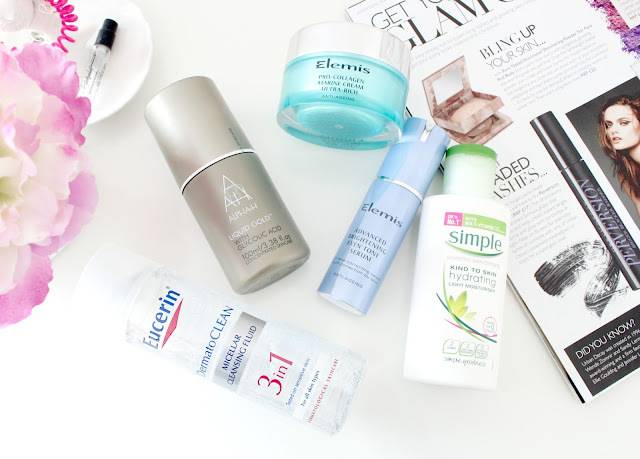 I love the entire Eucerin range, saves my super dry skin! I'm going to have to try the Eucerin Micellar Cleansing Fluid as I love the Garnier one so if this tops it it must be fabulous! I love the look of that serum! I personally really didn't get along with the Simple Light Moisturiser but I know different products work for different people! Ive been looking for a new moisturizer, and Elemis intrigues me! Great post! I love simple products! Great information shared. It’s really very helpful for us. Yes, of course we should use good quality skin care product for our skin. We should use skin care product according to our skin tone because everyone has different type of skin tone. Really nice blog. Thanks for sharing....!!! Thanks for sharing your thought and it’s really helpful. Selecting a cleanser with a balanced PH will help maintain skin's natural balance and for me the best facial cleanser is Sakare’s cleansing products. I try many Skin Care products for removing the acne but, I got no result, and now my face look ugly with it and I feel helpless.